In this paper, an adaptive neural network approach to classification which combines modified probabilistic neural network and D-S evidence theory (PNN-DS) is proposed. 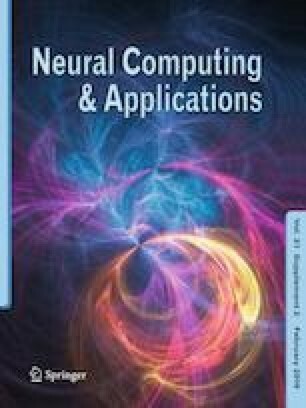 It attempts to deal with the drawbacks of information uncertainty and imprecision using single classification algorithm. This PNN-DS approach firstly adopts a modified probabilistic neural network (PNN) to obtain posteriori probabilities and make a primary classification decision in feature-level fusion. Then posteriori probabilities are transformed to masses noting the evidence of the D-S evidential theory. Finally advanced D-S evidential theory is utilized to gain more accurate classification results in the last decision-level fusion. In order to implement PNN-DS, covariance matrices are firstly employed in the modified PNN module to replace the singular smoothing factor in the PNN’s kernel function, and linear function is utilized in the pattern of summation layer. Secondly, the whole scheme of the proposed approach is explained in depth. Thirdly, three classification experiments are carried out on the proposed approach and a large amount of comparable analyses are done to demonstrate the effectiveness and robustness of the proposed approach. Experiments reveal that the PNN-DS outperforms BPNN-DS, which provides encouraging results in terms of classification accuracy and the speed of learning convergence. This work was jointly supported by the National Science Fund for Distinguished Young Scholars (Grant No: 60625304), the National Natural Science Foundation of China (Grants No: 60621062, 60504003, 60474025, 90405017), the National Key Project for Basic Research of China (Grant No: G2007CB311003, G2002cb312205) and the Specialized Research Fund for the Doctoral Program of Higher Education (Grant No: 20050003049).